Making brownies from scratch doesn’t have to be hard or time-consuming. It can be almost as easy as using a boxed brownie mix. But they taste so much better. 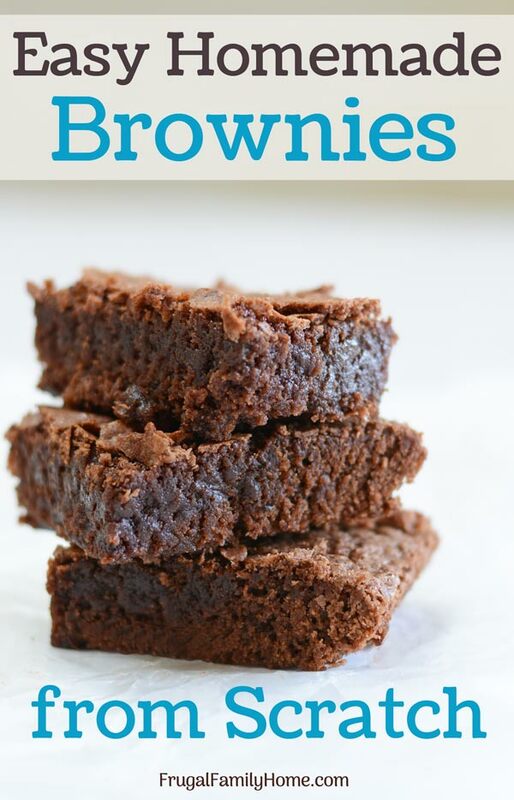 Try these easy homemade brownies and see how easy they really are to make. 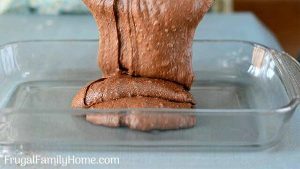 I know making brownies using a box mix is so simple and easy but it also has other ingredients in it you won’t want to feed your family. When you make brownies from scratch, you know exactly what goes into them. So you don’t have any weird ingredients you don’t want. And it only takes a few extra ingredients, flour, sugar, cocoa powder, and salt needed to make them from scratch. And I think you’ll see that other than measuring a few ingredients that’s the only difference between a box brownie mix and making easy homemade brownies. 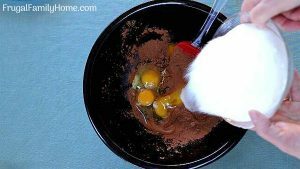 Even with the brownie box mix you still have to add the eggs, oil, and water. This recipe I’m sharing is the best brownie recipe at least I think so. It’s one of my grandma and my aunt used to make all the time when I was growing up. They turned out so delicious and fudge like; I think you’ll like them. Watch How to Make This Homemade Brownie Recipe..
I’ve made a quick video to show you how to make these easy homemade brownies from scratch. If watching videos isn’t your think, keep on scrolling for the printable recipe below. Don’t mix in the flour until the last step. This helps to keep the brownies tender. Soften the margarine or butter. But don’t liquify it. It should only be softened. You can easily make this dairy free by using dairy free margarine. We like the Nucoa brand for baking. Mix the eggs and sugar into the softened butter. Breaking up any clumps of cocoa powder. Bake until set, but don’t over bake. When you check with a toothpick at the edges, it should come out clean. The middle should be set. Let cool before you cut into them. 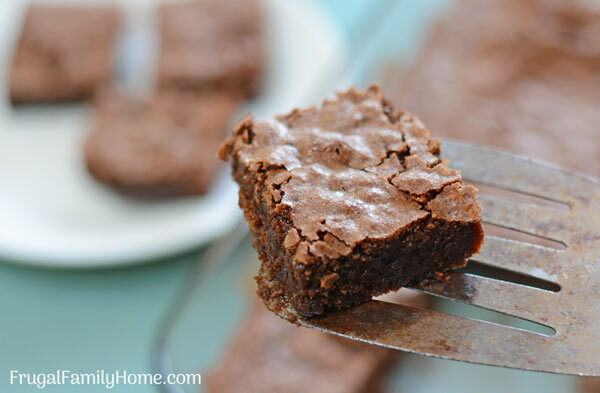 These homemade brownies are crackly on the top and fudge like inside, the perfect brownie. Plus they can be made dairy free too. Soften the margarine or butter, add the cocoa, eggs and sugar. Add salt, vanilla, and flour. Mix well, add nuts or baking chips if desired. Pour into a 9 by 13 inch baking dish. Bake 350 degrees for 20-25 minutes. Or until a toothpick comes out clean near the edges of the pan. You can easily make this recipe dairy free by using a dairy free margarine like Nucoa brand. Or you can use olive oil or coconut oil if you don't like to use margarine. While the box mixes are inexpensive costing about $1.50 on sale or up to $2 for the regular price. 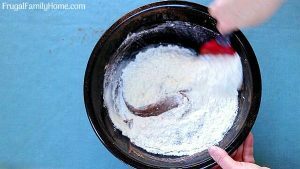 But that only includes the flour, sugar, salt, cocoa powder, and flavorings. You still need to add oil and eggs to the box mix. So doing a fair comparison. I only priced the ingredients you would get in the box mix to compare. That’s $.98 for a batch of homemade brownie before adding the butter and eggs. Which you would need to add to the boxed mix too. So you can save a little money anywhere from $.50 to $1 by making these from scratch instead of a boxed mix. Not too bad for a minute or two of work. 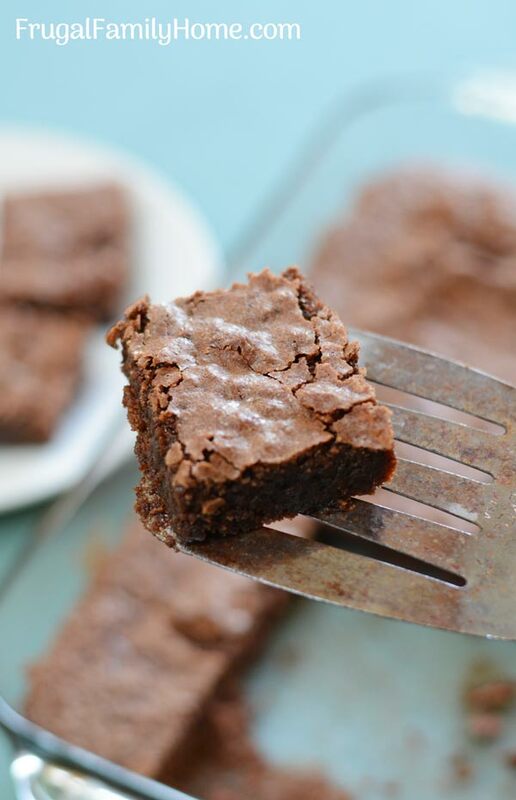 You can make these easy homemade brownies dairy free by using a dairy free margarine like Nucoa brand. If you’d like to stay away from margarine, you can use olive oil or coconut oil instead. Either will work well. 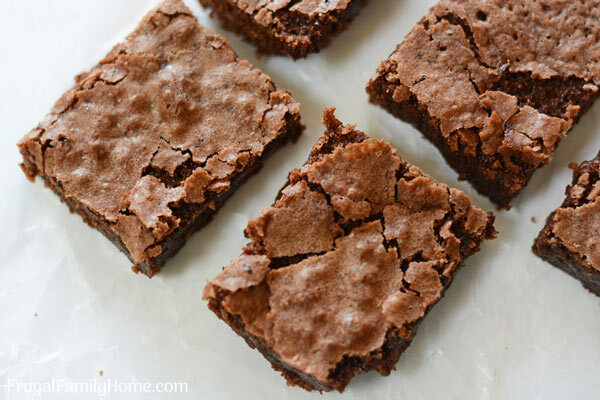 With only a few ingredients and a few more minutes than it would take to make brownies from a boxed mix, you can have from scratch homemade brownies. 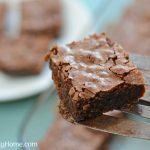 Give these easy homemade brownies a try and let me know what you think. Hi, was looking for a new recipe for a luncheon I’m going to on Sunday and your brownies looked really good and will probably be what I take. That said your math for the cost doesn’t come close to what I pay. Now I do live in small town, 10k and a small walmart is our cheapest groceries. I just bought flour, King Arthur, 5 lb. (no 10 lb bags available) and 8ox McCormick vanilla. My 5 lb of flour was $3.58 and my vanilla was $7.49. So my cost for just these two items would put me well over $1.20. Math being my major and I used to sell bakery goods to friends I’m really conscious about cost. Yes, prices can vary a lot from town to town and state to state. That’s why I try to add how much I paid for each item at the store. So the reader can know if their prices are higher, then the overall cost will be higher or if their costs are lower, then the overall cost will be lower. And this recipe was more unique because I was comparing the cost of making brownies from scratch with a mix and didn’t add in the eggs and butter since both of those items would have to be added either way you made the brownies. Unfortunately, there is no way for me to be able to estimate how much it will cost for each reader since even Walmart prices can vary greatly from one state to another. I’ve seen people post sales prices so much better than I can get, like $.99 for 5 pounds of flour at Walmart for the Walmart brand. Which I haven’t seen that price in a few years here. I buy store brands for ingredients or buy in bulk to help keep our cost lower. And I know big brands like King Arthur can cost more. Like you’ve found in your area a 5 pound bag of flour from King Arthur costs almost as much as a 10 pound bag of store brand flour. And maybe you don’t have the store brands available to you in your area because it’s such a small store and has limited availability of items. Which I think is a shame. I do the best I can by giving the readers an idea of what I paid for the item at the store and how much it was per cup or tablespoon so they can give an educated guess at how much it would cost them with the prices they pay for those same items. Thanks for commenting and giving me a chance to share my thoughts on how I figure pricing for recipes. It’s not a perfect system but at least a starting point for others to work with to determine their own costs. I’m sorry the price of ingredients are so high in your area, do you have store brands available to you to help reduce your cost?